Video-upload site Vimeo has announced a new cloud-based audio suite for its users. Called Enhancer, the audio suite gives videomakers the chance to tweak the audio on their videos and this also goes for videos that have already been uploaded to the site. Essentially, users can add a new soundtrack to their already uploaded video, adjust the existing audio levels, and control the start and end-point of the song. Alongside this, Vimeo is bolstering its stock audio with a new partnership with SmartSound. SmartSound prides itself as being the only full customisable royalty free music library. And now 9,000 of its tracks are available straight from Vimeo – with prices ranging from $1.99 (around £1.28) a track for personal use license and $19.99 (around £12.88) per track for a commercial license. Vimeo already offers a number of royalty free tracks for its users but now there are 50,000+ music tracks available. Speaking about the link-up, Kevin Klingler, President of SmartSound, said: "Our new cloud-based system allows Vimeo to incorporate our patented technology, giving users instant access to over 20 million unique compositions based on the ideal song length, arrangement, and instrument mix needed for each video." Dae Mellencamp, President of Vimeo, added: "The right soundtrack can make the difference between a good video and a great one. By integrating SmartSound's unique offering of customisable music, Vimeo users can now make the soundtrack to their videos as unique and personal as the video itself." 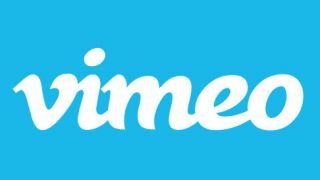 Vimeo has had a busy 2012 so far, kicking off the year with a drastic redesign and its latest audio move shows it is looking to bring in the video professionals, an area that YouTube still seems to struggle with. Check out https://vimeo.com/43042312 for more information.